Replaces ZF 45C & Borg Warner 71C Series Direct Drive Transmission with 1.00 Gear Ratio on light boats using 5.7L, 6.2L, & 383 small block engines. Completely dressed. Brand new ZF 45C Coaxial inboard transmission. Includes oil cooler, hoses, and mounting hardware. 4” output flange. Recommended for light boat applications (<5000#) with engines up to 350 HP @ 5000 RPM. Replaces Borg Warner 71C Series Direct Drive Transmission with 1.00 Gear Ratio on light boats using 5.7L & 6.2L small block engines. Completely dressed. Brand new 71C Coaxial inboard transmission with 4 forward gear clutches. Includes oil cooler, hoses, and mounting hardware. 4” output flange. Recommended for light boat applications (<5000#) with engines up to 320 HP. 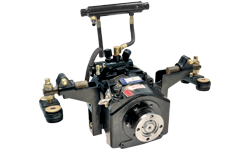 Replaces Borg Warner 71C Series Direct Drive Transmission with 1.00 Gear Ratio where heavy boat loading is required using 5.7L, 6.2L, & 383 small block engines. Completely dressed. 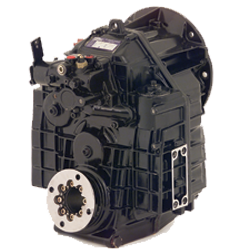 Brand new Quicksilver exclusive 6-PAK Heavy Duty 71C Coaxial inboard transmission machined for and assembled with 6 forward gear heavy duty clutches and increased clutch pressure. Includes oil cooler, hoses, and mounting hardware. 4” output flange. Recommended for heavy boat applications (5000-15,000#) with engines up to 450 HP @ 6000 RPM. 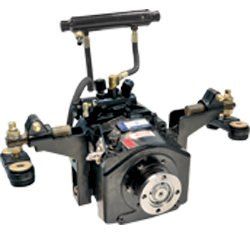 Replaces Borg Warner 72C Series Direct Drive Transmission with 1.00 Gear Ratio using 6.2L or big block engines. Completely dressed. Brand new Coaxial inboard transmission with 4 forward gear clutches. Includes oil cooler, hoses, and mounting hardware. 5” output flange. Recommended for heavy boat applications (5000-20,000#) with engines up to 450 HP. 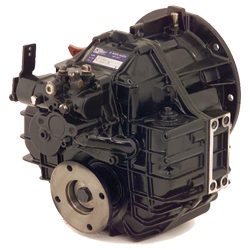 Replaces Borg Warner 72C Series Direct Drive Transmission with 1.50 Gear Ratio using 6.2L or big block engines.